Mathilda Twomey is a Seychellois lawyer and academic. She is the first female judge in the history of Seychelles and also the first woman to be appointed Chief Justice of the Supreme Court of Seychelles. 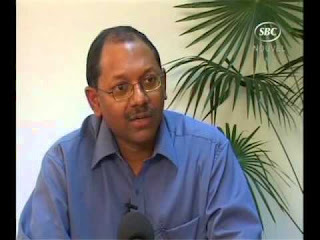 From the pained look of frustration on Danny Faure’s face, when he tried his best on national tv to imply that the CJ must go without saying the words - to the outright damage limitation propaganda from Freemason controlled institutions like the national TV broadcaster, it is clear that the cancer of corruption and dirty money had overrun Freemasonry in Seychelles. The CJ and the remaining non-Masonic Judiciary are the last bastions of hope for establishing a healthy democracy in Seychelles.